Port Resolution Bungalows Vanuatu sit on a rocky cliff top overlooking the stunning bay of Port Resolution where Captain Cook anchored in 1774 and where overseas yachts visit between May and October. With simply furnished bungalows, a popular restaurant and walking distance to a traditional village and long white sand beach, this is a great spot for relaxing as well as exploring Yasur volcano. 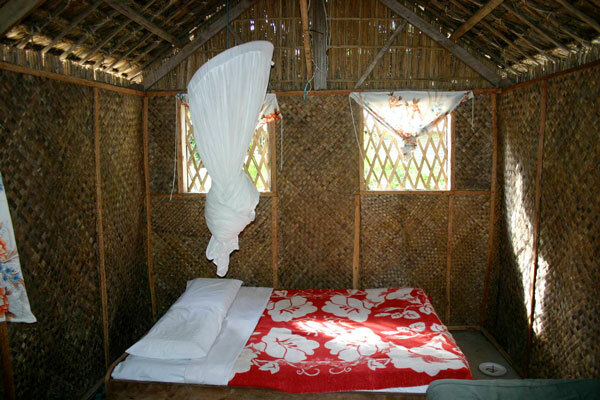 Accommodation at Port Resolution Bungalows is in one of three wooden bungalows set on the point in a quiet wooded setting away from the restaurant all with simple interiors with foam mattress beds hung with a mosquito net and nautical designed decks directly overlooking the ocean. 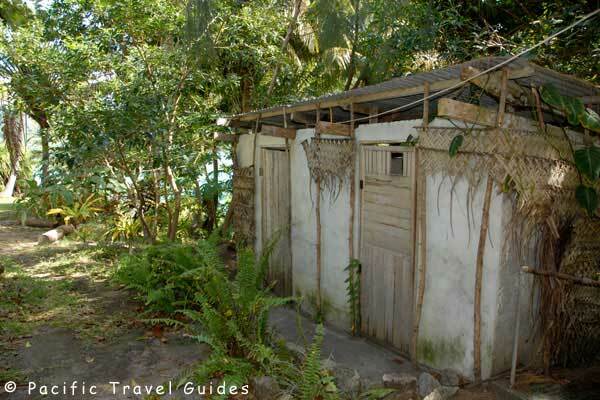 One of these bungalows has a small en-suite cold water bathroom. 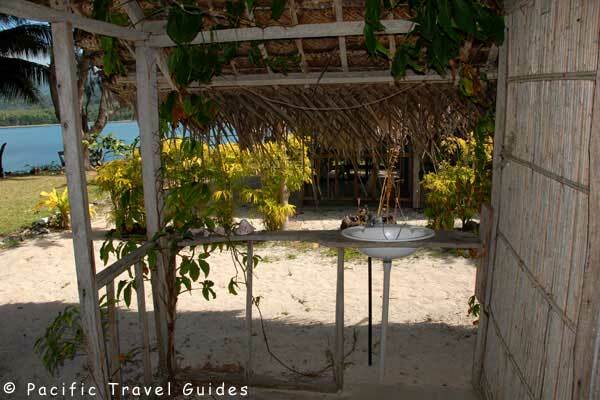 Three traditionally designed bamboo bungalows in a sandy area beside the restaurant share bathrooms but have a sink in the veranda.